Studebaker was an American wagon and automobile manufacturer based in South Bend, Indiana. Founded in 1852 and incorporated in 1868 under the name of the Studebaker Brothers Manufacturing Company, the company was originally a producer of wagons for farmers, miners, and the military. 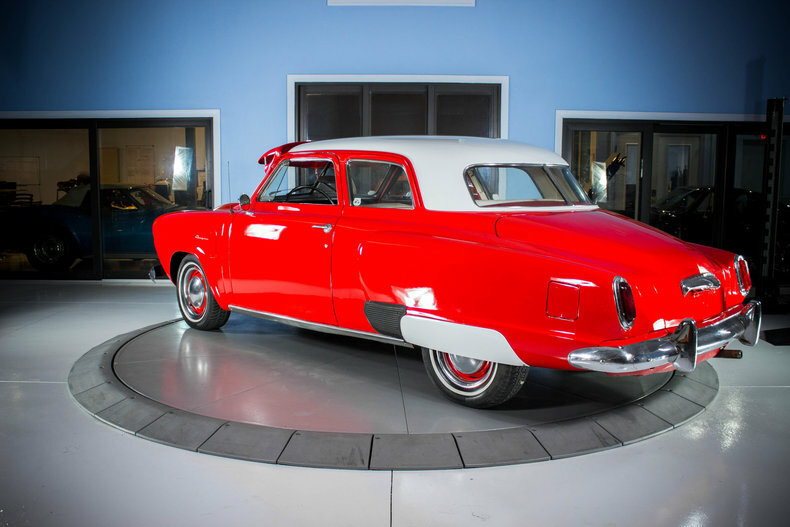 Public reaction is what matters in the auto industry, and "The Next Look" 1950 Studebaker, featuring the company's signature "bullet-nose" look for the first time, was a winner, more popular than even the 1947. Sales began in August 1949, nearly a month ahead of other 1950 cars. 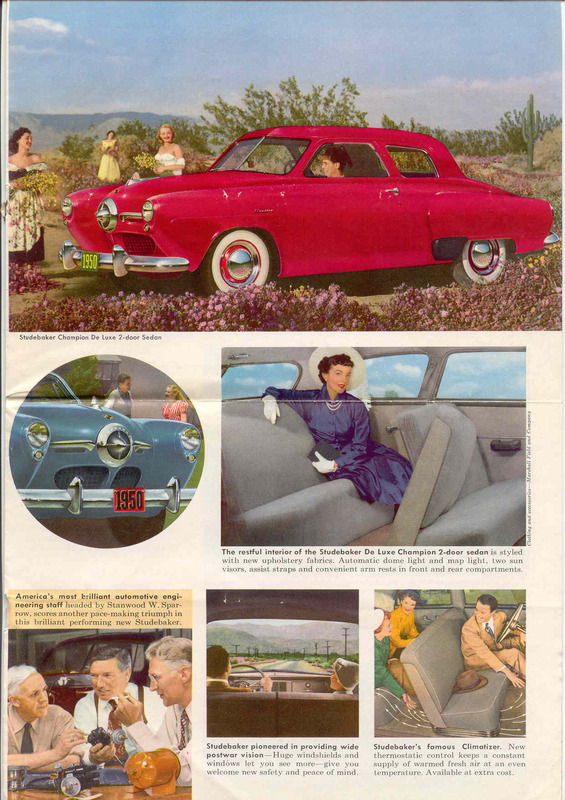 The 1950 models were Studebaker's most successful in terms of sales. Hundreds of dealers sent glowing telegrams describing announcement day: "Showroom crowded to capacity." "Public acceptance best ever." "Huge crowds, all agreed Studebaker still leads the way." "Showing a definite flop, showroom holds 100 people, needed room for 500!" For all this hoopla, the 1950s were identical to the 1947-49 models except for the bullet nose, minor trim, and vertical instead of horizontal taillights. However, the new front end added an inch to wheelbases, taking Champions to 113, Commanders to 120. Both lines again offered two- and four-door sedans, a convertible, and a five-passenger Starlight coupe with its distinctive panoramic rear window. Champion also listed a three-passenger business coupe. Commanders again included a top-line Land Cruiser sedan, now on a 124-inch wheelbase, with extra rear-seat legroom and rear-door vent windows. All models offered DeLuxe and extra-cost Regal DeLuxe trim save the convertibles and Land Cruiser, which were Regals only. 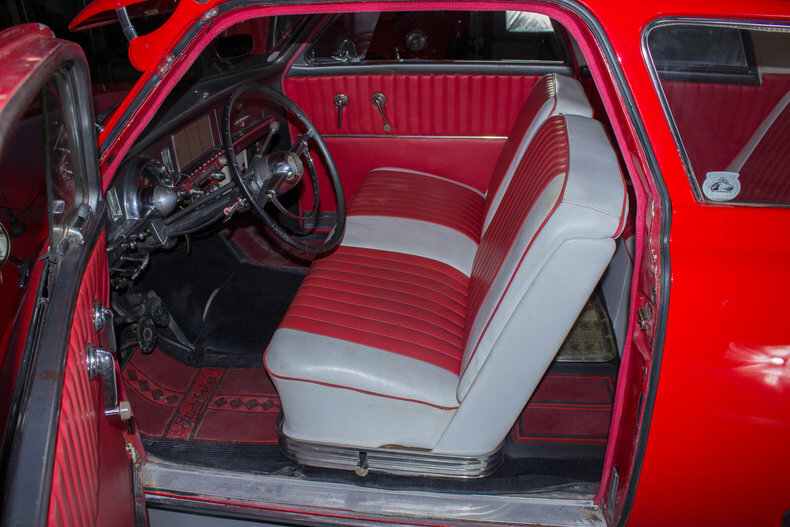 The Champ's Regal package, priced at $79, included stainless-steel rocker-panel and window moldings, wool upholstery in place of pile cloth, front floor carpeting instead of a rubber covering, and a fancier steering wheel with chrome horn half-ring. In Commanders, the $124 option substituted luxurious nylon-cord upholstery. All models continued on 15-inch wheels, but Commanders were heavier, so they came with 7.60 tires on six-inch-wide rims versus 6.40s on five-inch-wide wheels. Commanders also had 11-inch cast-iron brake drums, while Champions used nine-inch drums. Added in March 1950 were Champ Custom sedans and coupes with no hood ornament or rear fender shields, painted rather than chromed headlamp/taillight rims, and only a small round trunk handle/light assembly. They looked spartan, but at $1,419-$1,519, they were among the most affordable full-size cars around. Studebaker was targeting traditional low-priced leaders Chevy, Ford, and Plymouth, and thus advertised Champ Customs with the clever slogan "It's 4 To See Instead of 3!" 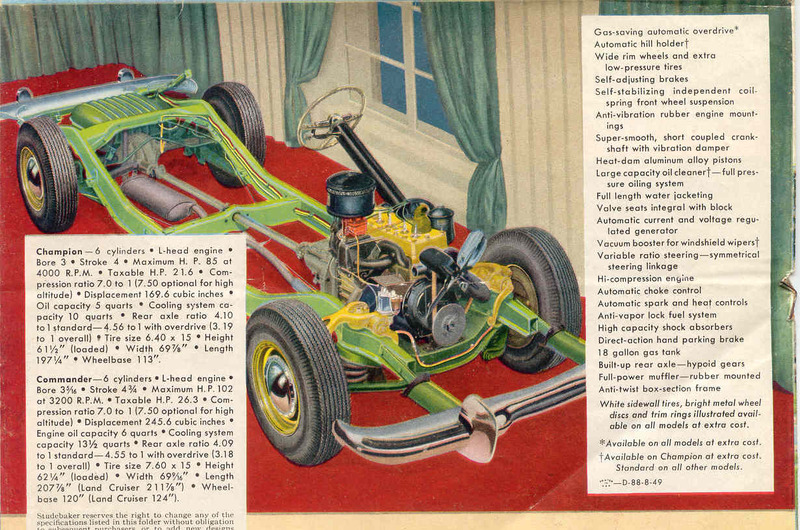 All 1950 Studebakers boasted a new double-A-arm front suspension, with Champions featuring tubular shocks mounted inside new "long-travel" coil springs. Commanders had slightly different geometry to handle their extra weight and retained lever-action shocks. Champs used an antiroll torsion bar in front; Commanders added a rear bar, plus center-point steering. But the big engineering news was Automatic Drive transmission. Devel­oped jointly with the Detroit Gear Division of Borg-Warner, it became available for Land Cruisers in late April 1950, then spread to other models as production increased. Automatic Drive was superior to most competitive automatics in several ways. First, it was air-cooled, so it did without costly, complex water-cooling. It also allowed push-starts if needed, did not "creep" the car forward from a stop if the driver released the brake, and included a hill-holder that prevented rolling down an incline at idle. Selecting Reverse at more than 10 mph automatically put the transmission in Neutral to prevent damage. 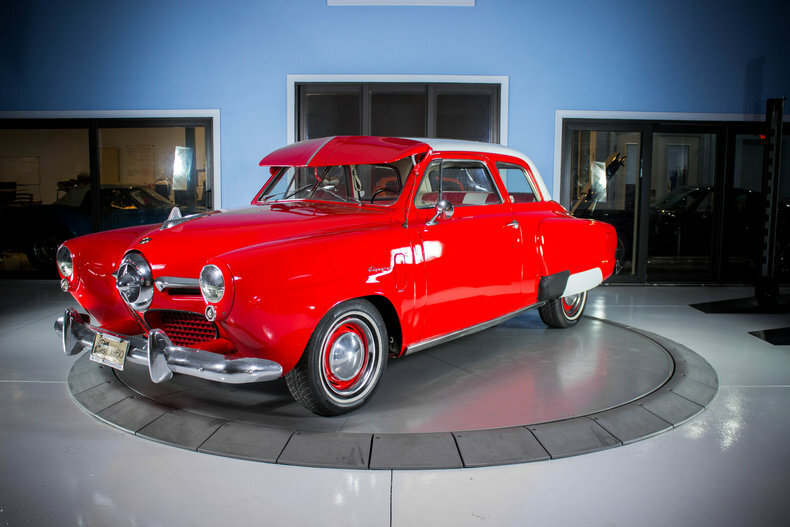 Demand for the bullet-nose '50s proved so strong that Studebaker added a third shift at its large South Bend factory and ran its Southern California and Hamilton, Ontario, assembly plants at or near capacity. A 14-month model "year" (July 15, 1949, to September 27, 1950) produced 343,164 cars, the most for any vehicle in Studebaker's long history. By the end of 1950, company employment was up to 25,000, a peacetime record.